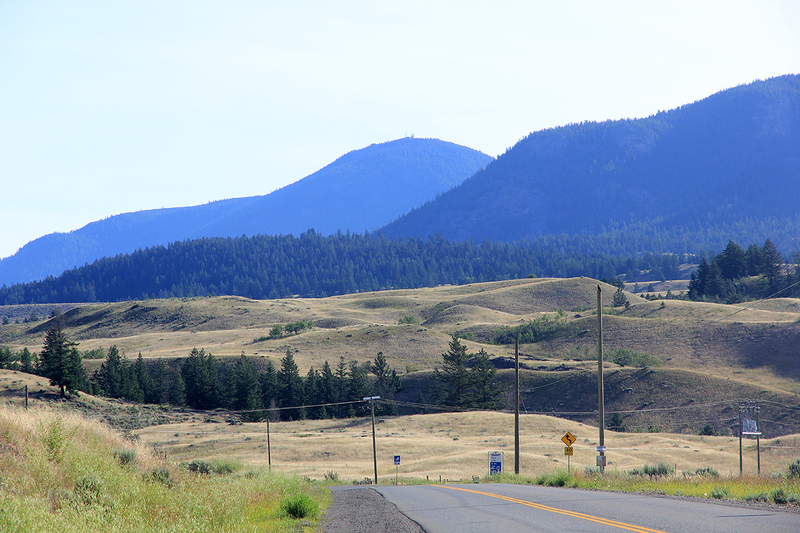 Drive north from Kamloops on Hwy. 5. Pay attention as you will leave this road almost immediately. Look for an intersection with traffic lights and a Husky gas station on your right hand side. Turn right onto Paul Lake Road here, measure your distance from this point. Drive 9.8 km (6.1 miles), turn left onto Cold Creek Road at this point. 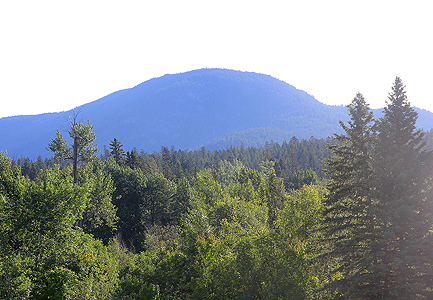 At kilometer 11.1 (mile 6.9), turn right onto Mount Lolo Road (Cold Creek Road continues straight). There are some kilometer markers in the beginning, at marker 4 km, the paved road ends, but Lolo Road continues as a good dirt road. At kilometer 18.3 (mile 11.4), go straight. As the road turns more uphill, there are a few rougher spots. The road can still be driven by ordinary passenger cars, but unless there is maintenance, it may get worse with time due to water erosion. At kilometer 24.9 (mile 15.5), you are at a saddle, go left in this fork and arrive at the summit at kilometer 25.6 (mile 15.9). This location is N50:48.151, W120:07.608, elevation about 1748 meter. 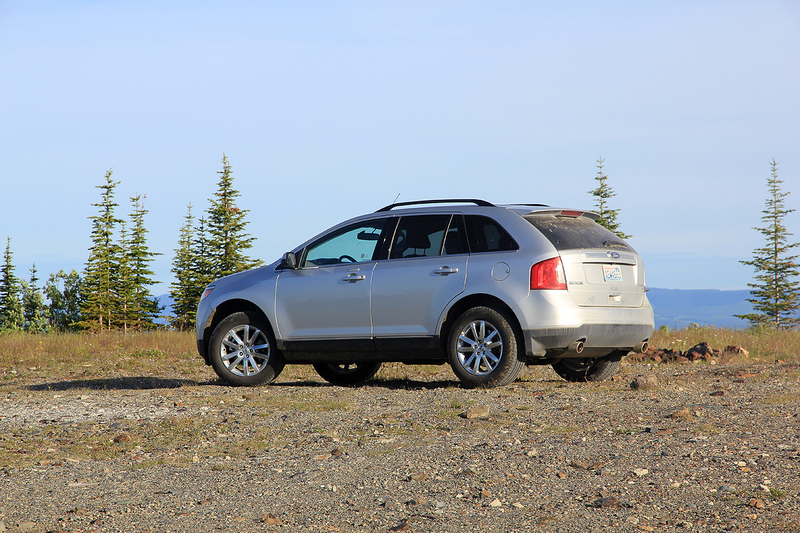 One can drive all the way to the summit. 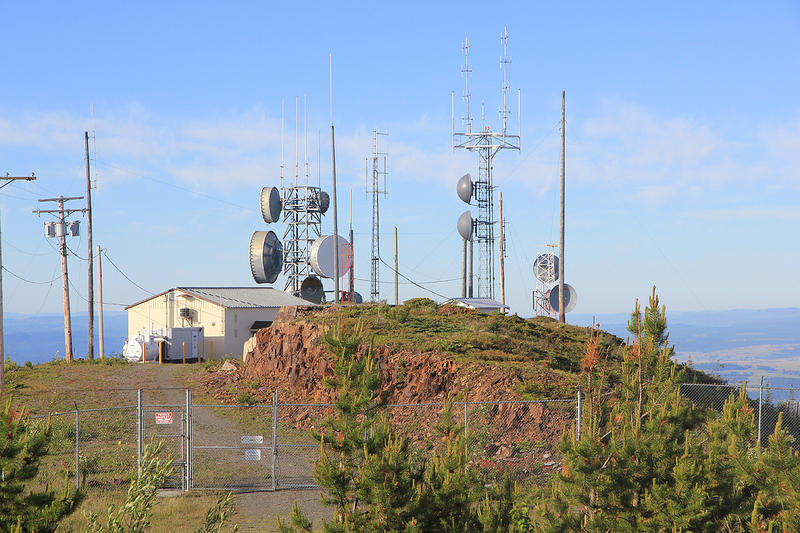 A radar station, part of a missile warning system, was built on Mount Lolo in 1957. It was officially closed down on April 1. 1988. The buildings have been completely removed and there is now a large, flat area left. It is likely that the mountain was slightly higher before the top was leveled in order to establish this radar. Next to the summit plateau, there is a small hump with communication antennas. This area is fenced in and posted No Trespassing, however, the large plateau where the radar used to be located is of similar elevation, and was most likely slightly higher before the construction took place. I drove from Sun Peaks resort in the morning and arrived at the summit at 0720. There was quite a few cattle along the road (cows with calves). 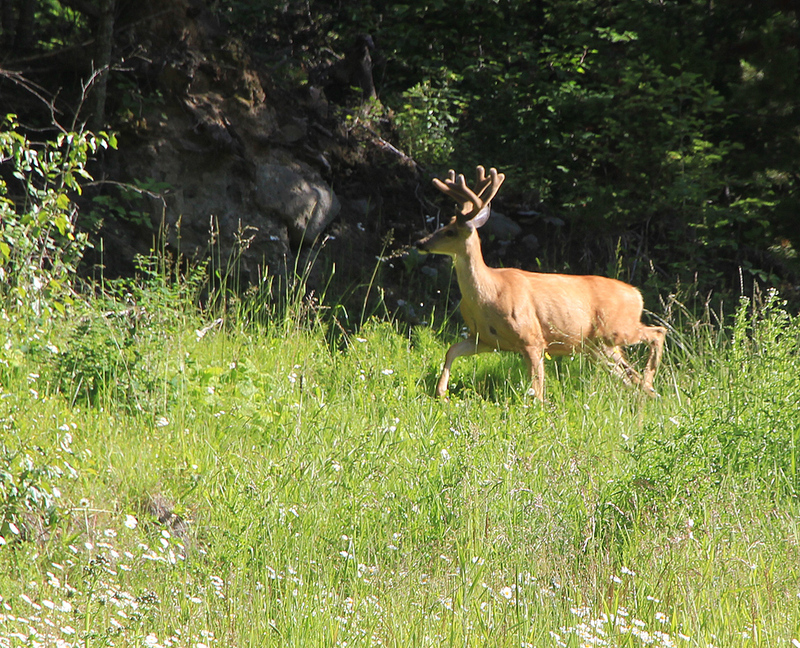 Early morning is also a good time to spot deer near the road. 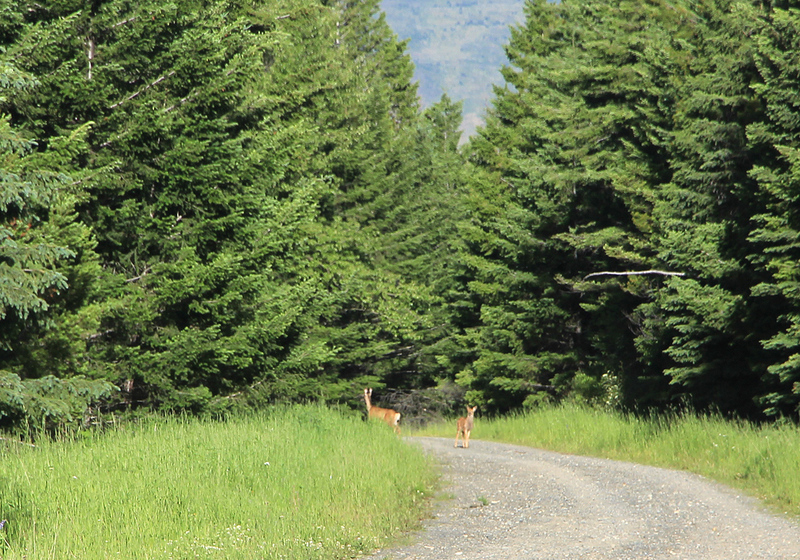 Deer on the Munt Lolo road. 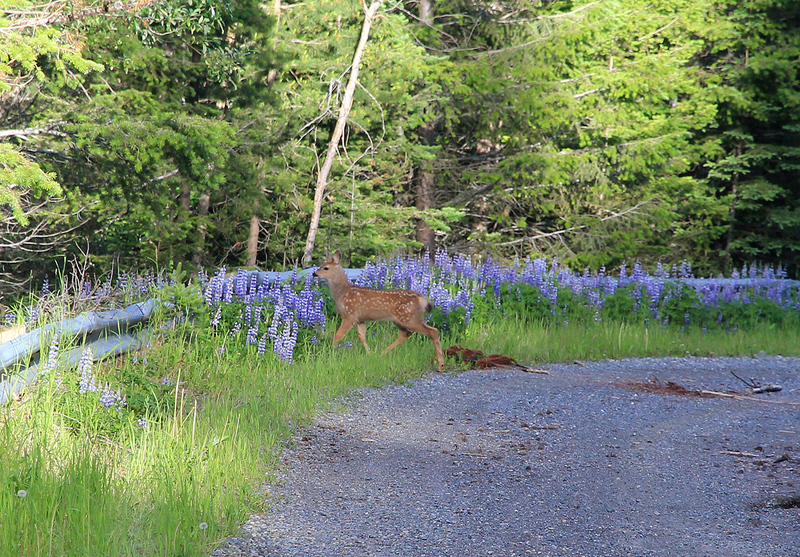 Deer (baby) on the Munt Lolo road.